Discover how to spring clean your home from top to bottom with just a few simple eco-friendly ingredients, such as vinegar and baking soda. Ah! Spring is really here. The flowers are blooming and the longer, sun-filled days are so uplifting. Spring really gives me a natural energy boost that inspires me to dig in and get down to some serious spring cleaning. Time to swing open the windows, let the breeze flow in, and get the house in tip-top shape! As I’ve been green cleaning for years, I always opt for non-toxic cleaners when I can. I’ve found that with a few simple ingredients and products that I already have in my pantry, I can easily clean my entire house from top to bottom and even tackle some of my outdoor spaces, such as the grill and patio furniture. No need for store-bought cleaners. And no reason to spend gobs of money to get things clean and green. 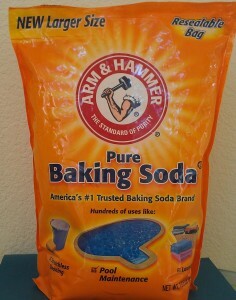 An economy size bag of Arm & Hammer baking soda will serve your green cleaning needs well. From the laundry room to the kitchen, it’s indispensable. Baking soda is one of my all-time favorite green cleaning ingredients. Not only because it’s safe and so inexpensive (especially when I buy the extra value size bag), but because it’s just so versatile. Due to its alkaline nature and high pH, this inorganic salt is great at whitening, brightening, deodorizing, cleaning, and scrubbing, so it’s a natural for earthy friendly cleaning. I use baking soda all the time to clean. From the laundry room to the kitchen, there are multiple uses for it. For example, a paste of baking soda and water easily cleans away burnt-on food and grease from your oven without any of the harmful fumes found in conventional oven cleaners. Also, instead of using toxic, chlorine-based powder cleansers, baking soda is a great substitute. And if you want to make a natural antimicrobial cream cleanser for the kitchen or bathroom, simply mix baking soda with castile soap (readily available in natural food stores or online from Amazon). Check out the recipe here. Lemons, which naturally contain citric acid, are great for eco-friendly cleaning as they cut through hard water stains, disinfect, whiten, and more. The uplifting, citrus scent of lemons will greatly enhance your spring cleaning routine, whether you opt for fresh lemon juice or lemon essential oil, which is available at natural products stores like Whole Foods Market or online from Amazon. 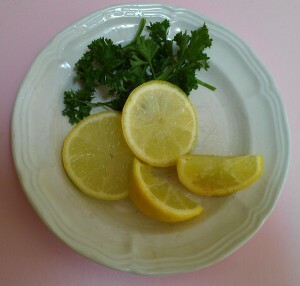 Lemons really come in handy when it comes to naturally cleaning your home. Because they have a low pH and contain citric acid, they safely bleach, disinfect, remove soap scum, eliminate hard water stains, and more. In fact, many cleaning manufacturers know this and often employ citric acid and/or lemon essential oil in their formulations. But you can easily whip-up your own natural cleaning recipes with lemons, such as this citrus vinegar spray or a paste of lemon juice and baking soda to make a natural whitening cleanser to brighten porcelain sinks, tubs, and eco-friendly nonstick cookware. 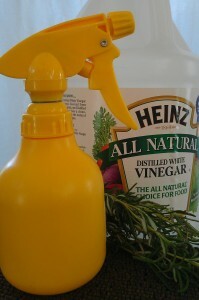 A DIY all-purpose vinegar spray is easy to whip up and use for cleaning and disinfecting multiple surfaces in your home naturally and safely without any harsh chemicals. Vinegar is a must-have ingredient for cleaning. Studies have been done showing that it is effective at killing E. Coli and even the H1N1 flu virus. Plus, it’s very effective at dissolving soap scum and hard water stains and killing mold. So, rest assured, you know when you clean with it that all those little germs are getting eliminated! Just be sure to let it sit for a few minutes before rinsing it off, so that the vinegar can do its job. So, what do you think? 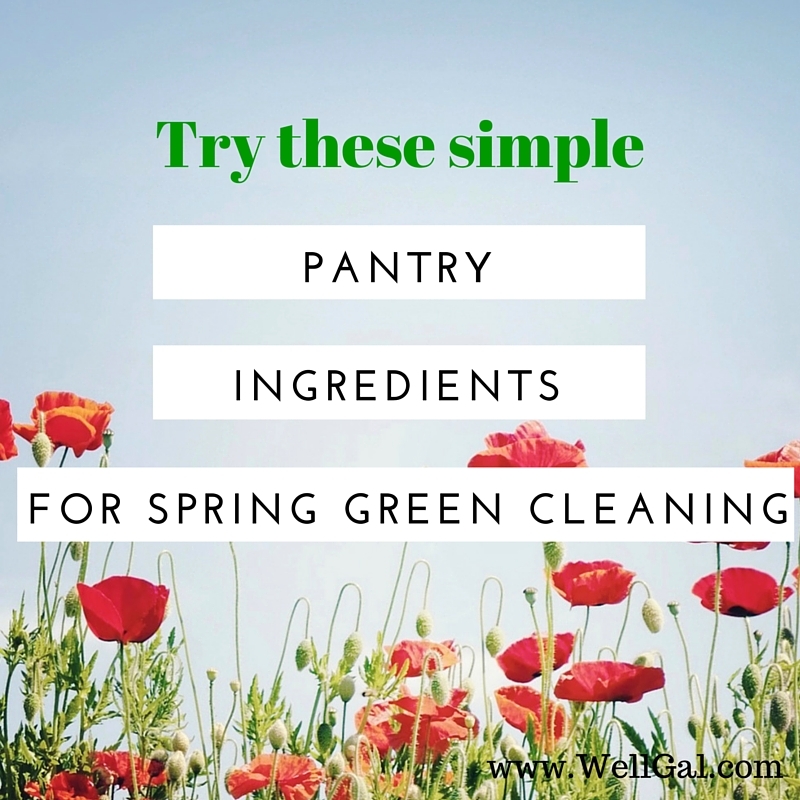 Have I inspired you to give some pantry ingredients a try to get some serious spring cleaning done? Let me what you think. Caution: Don’t use lemon juice or vinegar on delicate, porous stone surfaces, such as marble, because the citric and acetic acids may etch and dull the surface. Always test your cleaning formulations in an inconspicuous area first if you aren’t sure! Copyright © Karen Peltier and Well Gal 2014-2018. All rights reserved. ← Want to Heal Your Gut & Regain Control of Your Health? Check Out This Summit! I’m trying to switch over to all green cleaning products in my home. Used to make my own laundry soap a while back, need to get back to it. Thanks for the links and tips. Baking soda really is amazing. I am trying to use more natural cleaning products in my home. You’re welcome. If you’d like some more ideas on how to use baking soda, check out my post “5 Green Cleaning Products You Can Make With Baking Soda.” Happy green cleaning! P.S. Can’t wait to check out your post on the best seeds to use for smoothies.